Nokia Drop from the Nokia Beta Labs is the latest offering for Symbian^3 phones which includes Nokia N8. This is an experimental concept which enhances the way you use your mobile. Nokia Drop works on two levels. It has two different parts, first part includes the application that is designed for the mobile phone and the other part is a web browser add-in. The web browser add-in supports Google Chrome and Mozilla Firefox (v3.6 & 4.0). 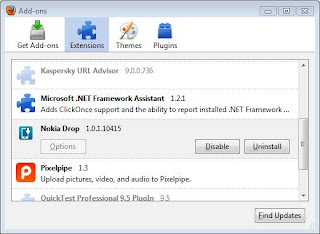 The application needs to be installed on your mobile phone which connects to the browser add-in via Nokia Server. You would require a Nokia user account to login to Nokia Drop. 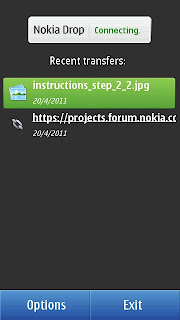 Nokia Drop allows you to send links and images to your phone without the need to connect your phone to your PC. You can right click on any link or image that you see in your web browser and select Nokia Drop options to send. 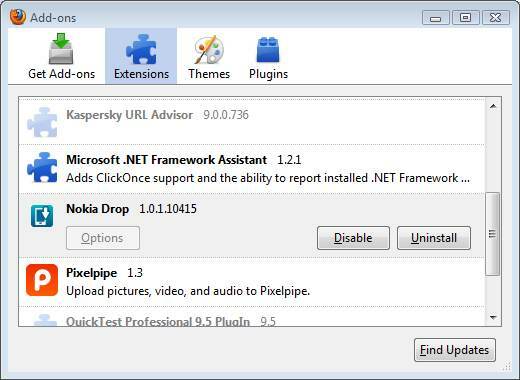 The add-in options include - "Send Link", "Send As Wallpaper", "Send Image", "Latest Activity". However, you would need your phone's Nokia Drop application to be online before you can send anything. A working data connection (WiFi or 3G or 2G) and a Nokia Account is required by the application to go online. The transfer to the phone is pretty quick. It makes really easy to send a particular image to your phone within a few clicks. Just imagine you are surfing Facebook and wish to send a photograph of your friend to your phone. 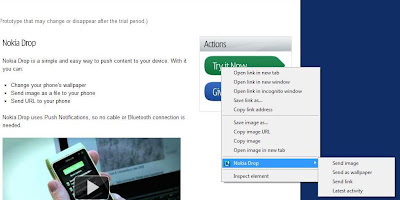 You don't need the efforts of saving it and then connecting your mobile phone and then sending instead you can just right click on the image in your browser, select Nokia Drop and send it. Download the application from the link above and install it on the phone. The application will require active data connection at the time of installation to download some of the remaining components. 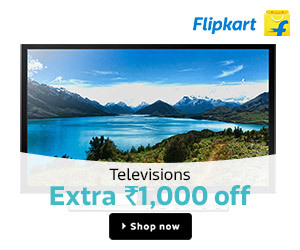 Click on the link above depending on the browser you have and install the add-in. For Mozilla Firefox, you can check the installed add-in in the Add-On window. 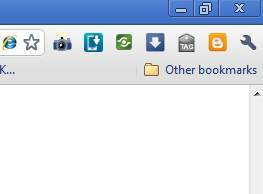 For Google Chrome, you should see the installed add-in located at the right hand side top of the screen. 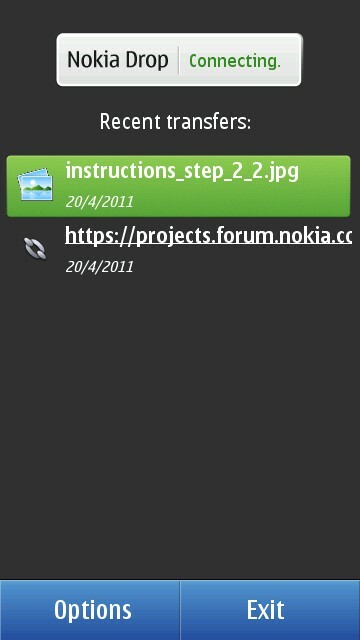 Now you are all good to go, simple select an image or link from the browser and select Nokia Drop -> Send Image or Send Link option. Do write in your comments about this application and if you had any issues using the application.